Journey to the balmy isles of the Pacific through the song and dance of our Classic Luau style show! Join us as we travel to Hawaii, Tahiti, New Zealand, Samoa and more! "E komo mai, welcome to the beautiful islands of Polynesia! Sit back, relax, and enjoy the sights and sounds that represent the people and culture of the Pacific." No matter if your special event is in the backyard of your private residence, at a corporate function, or poolside at a world-class hotel, CocoTiki is sure to bring the Polynesian islands right to you! We only offer the best of the best in Polynesian entertainment; we have you covered from dancers to musicians to props! 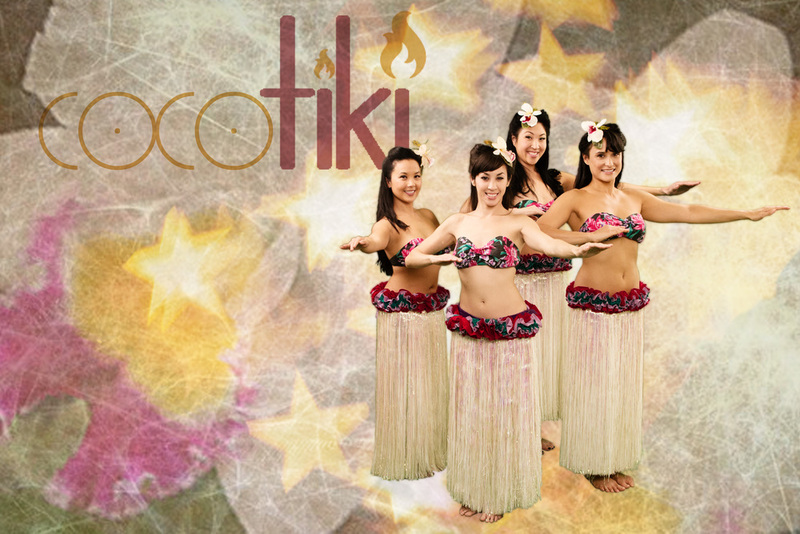 When booking CocoTiki to perform a "Classic Luau" style show, you can expect to be transported to the beautiful Hawaiian Islands. Here you are invited to admire the beauty and grace of Hula, a dance form native to Hawaii. Allow yourself to be hypnotized by the soft hip swaying and elegant hand motions of the wahine, or female, dancers. The kane, or male, dancers, bring an element of masculinity and strength; "keep your eyes on the hands!" From Hawaii, we take you to New Zealand, or Aotearoa. Here we perform dances of the Maori such as the Haka, an ancestral war cry or chant, and the poi, or ball on chord. The poi, a dance done by wahine, is performed with balls attached to flax strings, swung rhythmically. Make sure you and your guests pay attention as you may be invited to try them out! Moving along to Samoa, prepare be "wow-ed" with the Siva Afi, or fire dance. Our stop here continues with the Taualuga and Samoan Slap Dance! The romantic isles of Tahiti, of course, cannot be forgotten on this journey of ours! Here we perform the Otea, a Tahitian dance accompanied by drumming. The dynamic hip shaking and heart pumping beats are sure to get the crowd moving and shaking! Our goal is to bring the magic of Polynesia to you, no matter what the size of or where your event may be!